When you link two lists together using Infowise Associated Items it's useful to pass data from the Parent list to the Child list. In this example I have two lists tracking parents and their children and I setup a Default Values and Dynamic Rules to copy data instantly from the parent item to all child items. Duplicating these fields in the child list gives the Default Values and Dynamic Rules a location to copy the data too. The Default Values and Dynamic Rules need the Infowise field name for each field it being passed from parent to child. 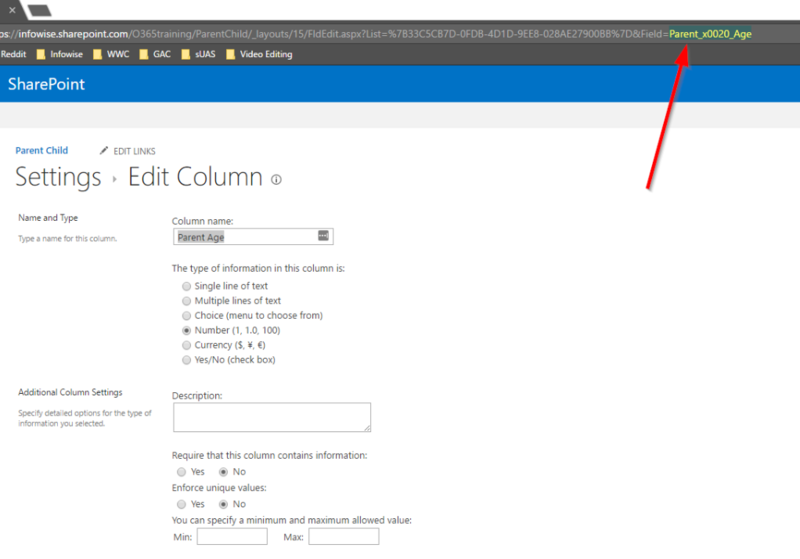 This field name is a combination of the prefix iwfv_ and the SharePoint field name. Now I add the prefix iwfv and which gives iwfv_Parent_x0020_Age. 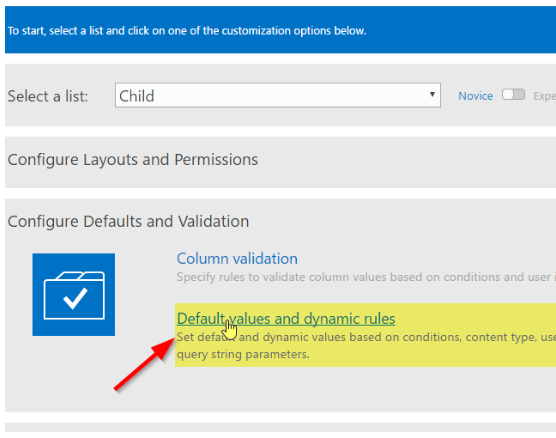 This is the text that to use in the Default Values and Dynamic Rules settings. 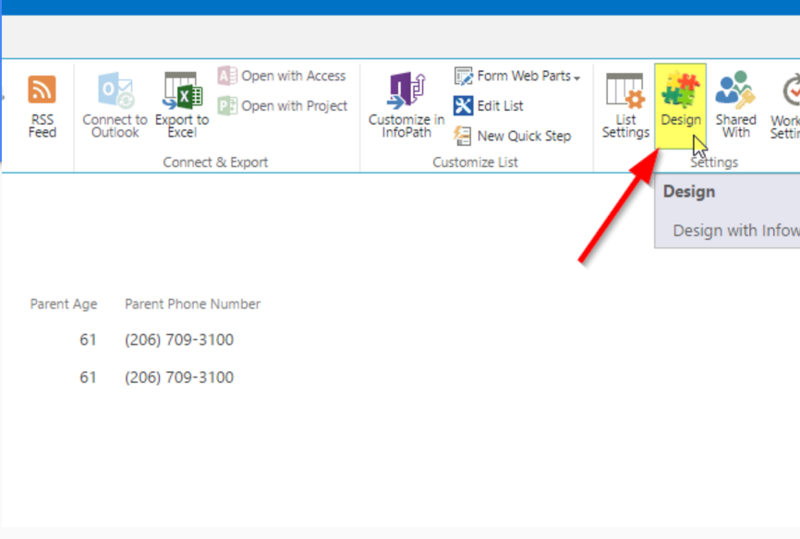 Configure the default value inside the child list by clicking on the Design button and going to Infowise Ultimate Forms. For the Column configuration choose the corresponding child field Parent Age. 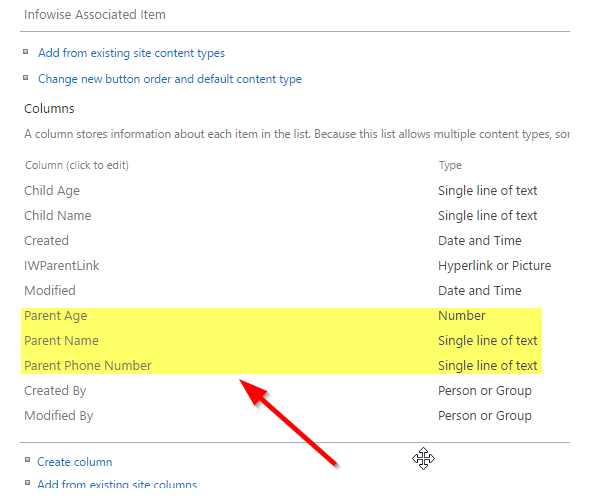 Check the Parameter checkbox and enter the Infowise field name iwfv_Parent_x0020_Age. Click the Add button and you have the default set and the data will be passed from Parent to Child by default. 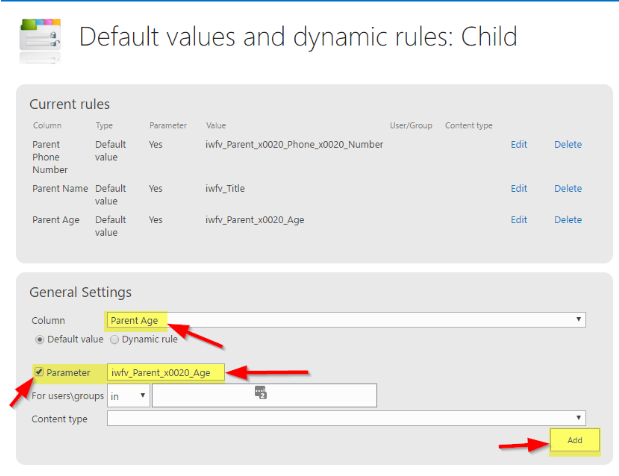 Using Infowise Associated Items and Default values and dynamic rules we can pass data from the parent to the child. This advanced technique is useful if you want to build reports in child lists that contain parent data or execute Infowise Smart Actions from child lists based on parent data.